Home » Anti-Money Laundering » Should the Currency Transaction Report Threshold be $60,900? When the Bank Secrecy Act passed in October 1970 with the $10,000 Currency Transaction Report (CTR) threshold, the average US annual salary was $6,186. 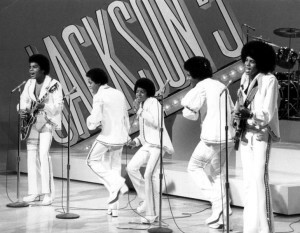 A new car cost $3,900 and the Jackson 5’s song “I’ll be There” was number one on the Billboard charts. All that has changed, except for the Currency Transaction Report threshold. The inflation-adjusted CTR equivalent to $10,000 in 1970 is $60,900.26 today. Inversely, the equivalent buying power of $10,000 today would have been $1,642 in 1970. State and local officials also indicated that the current threshold amount of $10,000 was important to the usefulness of CTRs. Specifically, about 58 percent of the state and local officials we surveyed stated that increasing the CTR filing threshold would result in a “very great” or “great” reduction in the usefulness of the CTR filing requirement to their work. There are about 15,000,000 Currency Transaction Reports filed each year. ← How do SARs and Federal Money Laundering Convictions Compare?